The search for musically-talented Overseas Filipino Workers (OFWs) continues as Cebuana Lhuillier once again joined forces with ABS-CBN, The Filipino Channel (TFC), and DZMM on the worldwide Global Pinoy Singing Idol competition held this time in Vienna, Austria on September 17. 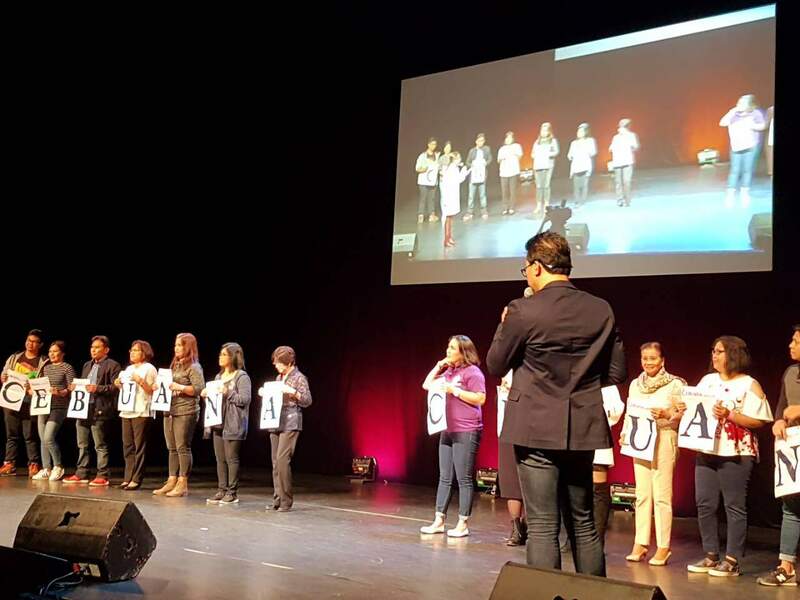 Featuring guest artists Yeng Constantino and Matteo Guidicelli, about 1,500 people attended the event and witnessed Filipinos in Europe showcase their singing prowess. Bernadite Steiger and Louise Denciv Auman of Wein, Austria emerged as winners and will now represent Europe as one of the regional finalists in the global showdown that will happen in ‘It’s Showtime’s’ Ang Tawag ng Tanghalan this December in Manila. Aside from the competition winners, 14 OFWs also participated and won cash prizes during Cebuana Lhuillier’s Letra Swerte game. Tokens such as PVC fans, twisted fans, pouch wallets, water bottles and ballpens were also given away to Ka-Cebuanas present in the event. In an effort to inform Filipinos in Austria about Cebuana Lhuillier’s convenient international remittance services, the new Cebuana Lhuillier TVCs were repeatedly played during the event. Additionally, Cebuana’s roll-up banners were positioned in strategic areas of the venue to boost brand awareness among guests. Cebuana Lhuillier has been supporting Global Pinoy Singing Idol every year since 2011. Last year, the company sponsored the competition’s preliminary leg in Japan and Carson City, California in August and November, respectively.